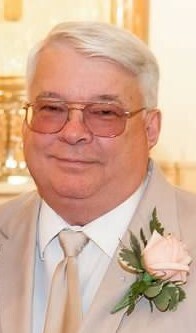 Obituary for Gary D. McClean | Baker-Terravecchia Funeral Home, Inc.
Gary D. McClean age 66, of Vanderbilt, Pa, passed away on Monday January 14, 2019. He was born on September 26, 1952 in Connellsville, Pa., a son of George Edward and Betty (Ryan) McClean. Gary was preceded in death by his in-laws Charles and Leona (Gilland) Martin. He was a graduate of The University of Pittsburgh School of Pharmacy and he lovingly served his community as a Pharmacist. Left to cherish his memory is his loving wife Sandra (Martin) McClean, children Ryan McClean and wife Jill, Jace McClean and wife Kelli, Leighann Sapanara and husband Ryan, grandchildren, Ava, Madison, Aubree, Camryn and Ryleigh. Parents George and Betty (Ryan) McClean. Brothers; Rod McClean and wife Joanna, Jeff McClean and wife Elaine, nieces and nephews; Katie, Patrick, Patty, Trisha, Casey and several great nieces and great nephews. He is also survived by his loving dog “Brody”. Friends will be received in the Baker-Terravecchia Funeral Home, Inc. 71 Pennsylvania Avenue, Uniontown, Pa. 15401.on Tuesday January 15, 2019 from 6-8 p.m., Wednesday January 16, 2019 from 2-4 & 6-8 p.m. and on Thursday, January 17, 2019 until 10 a.m. the hour of service with Pastor Rod McClean officiating. Interment will follow in Bowman’s Flatwoods Cemetery, Vanderbilt, Pa.